This week we welcome Nicholas Anderson in from the cold. Nicholas (his nom de plume of course) is a 19-year veteran of the UK’s Secret Intelligence Service (known also as MI6). In 2002-2007 he was recalled a second time to active duty in Iraq and Afghanistan. He is now retired and resides in the French Riviera where he continues to write his fictionalized covert action stories based on true life experiences. We asked him to separate fact from fiction. 1. How necessary is old fashioned HUMINT in today’s espionage game compared with COMINT? Very important. Nothing compares to getting information from the street and seeing for yourself the emotion in the face coupled with the body language and hearing the timbre in the voice. Of equal importance, in my opinion, is MASINT (measurement and signature intelligence) as what is unearthed is factual, ie: what’s already been shipped. Well I had several legends that I used. I have a real name that I was born with, of course, but my next door neighbours when I was stationed even in safe places like Copenhagen and Berne, knew me socially by another name. 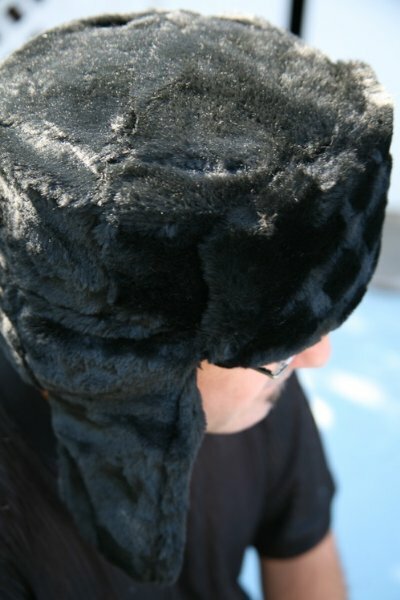 Also when operational as a mole, yet another name was used – a local name. I didn’t have a problem at all, being in so-called character. Even Nicholas Anderson is a pseudonym. I noted several years ago – it’s still can be found on the internet – somebody released the names of ‘real’ SIS officers’, where they were stationed and in many cases their date of birth. A legend I used appeared on that list but not my real name. 3. 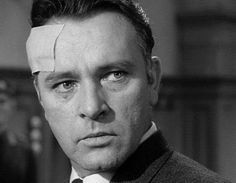 Fleming employed various aspects of trade craft in his novels including honey-traps, bedroom security techniques described in Dr.No and a poison-tipped dagger shoe in FRWL. How accurate is this in the real world? Certainly the Soviets and their Iron Curtain allies used these techniques a lot. From our side less so but then it was compartmentalized, so I didn’t know what an officer in the next room was up to and vice-versa. As for the poison-tipped dagger I have never heard of that. The nearest was the umbrella stab in a Bulgarian defector’s heel (Georgi Markov) in London that killed him. I should mention that the British lads had two false teeth inserted when operational covertly on the other side – one carried a satellite transmitter so you could be located; the other contained cyanide…in case you wanted to kill yourself. 4. John Le Carre described Bond as less of a spy and ‘more some kind of international gangster with, as it is said, a licence to kill.’ Do intelligence officers in any context ever have a ‘licence to kill’? The US has its own version that was reintroduced by President George W. Bush when the Twin Towers came down (well, in actuality three towers toppled). For decades the Americans used to pass these ‘wet jobs’ on to others to do their dirty work for them. So you could say they didn’t do it but the executive orders came directly from them certainly. So it was legally circumvented. ‘What do you think spies are: Priests, saints and martyrs? Yes, I agree to the first question and some of the descriptive text that follows it. No, is the answer to the secondary question that is built in there. Many journalists have a tendency to ask more than one question in a collective phrase and then quote the person they want to trip up as answering it altogether differently (and not the way the person being questioned meant)! What does it mean to be an SIS agent and intelligence officer these days with so many disparate threats compared to when there were more defined enemies? 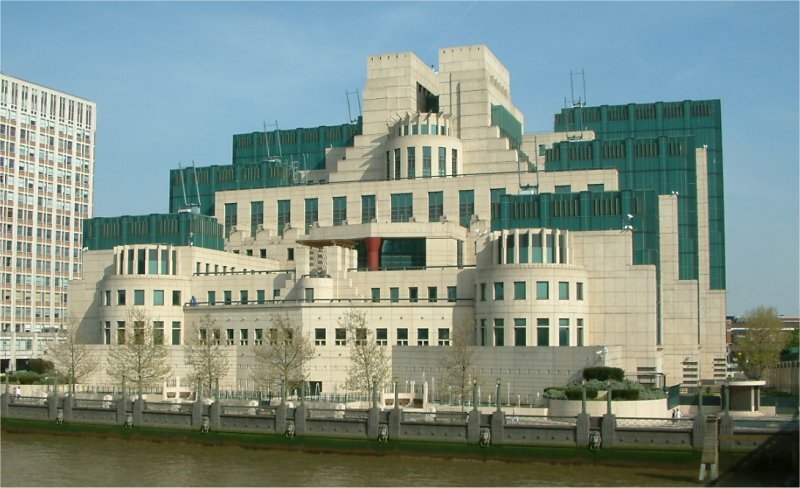 Agents are outsiders, non-employees of the SIS, the Security Service (MI5) and the CIA where intelligence officers are employed. The FBI are the odd ones out in that they don’t have intel officers but special agents. 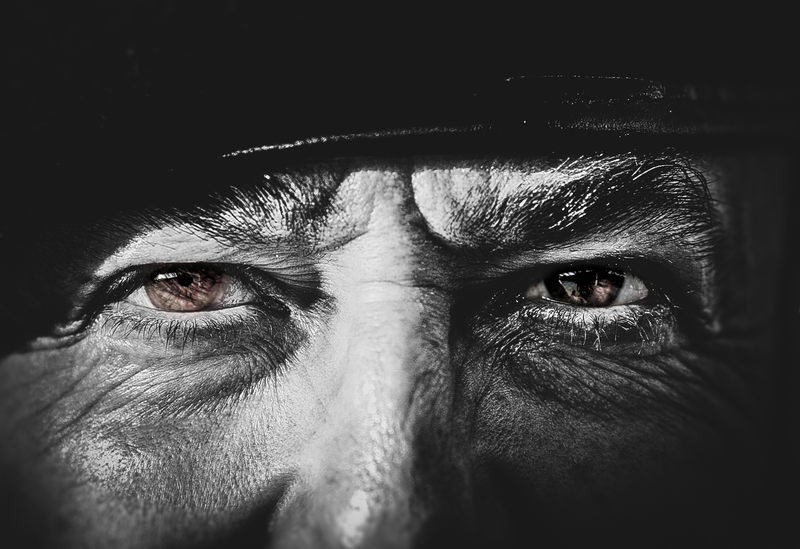 An agent usually is a person of interest that can furnish information that is gathered by an intel officer. When I read the media they have a tendency to lump both parties as being one and call everybody agents, which is confusing and flat incorrect. 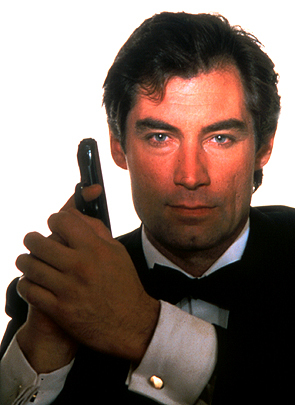 James Bond could not have been an agent as he was an intelligence officer. So I cannot speak for agents but I can for intel officers! And the simple answer really depends on how long is a piece of string…in that soon after the fall of communism the world has become asymmetrical, meaning a wider net was cast into the spheres of those that would harm us. More intricate specialties arose as a result, definitely, including – as you have already queried – COMINT. Communications intelligence within itself is broken down into, for some examples: ‘data mining’, which is a technique of developing suspects from computerised matching, and ‘outliers’ who are people using communication devices that have taken a significant departure from normal routine, and it even leaves room for qualifying ‘new faces’ – those with no prior record or not seen before. 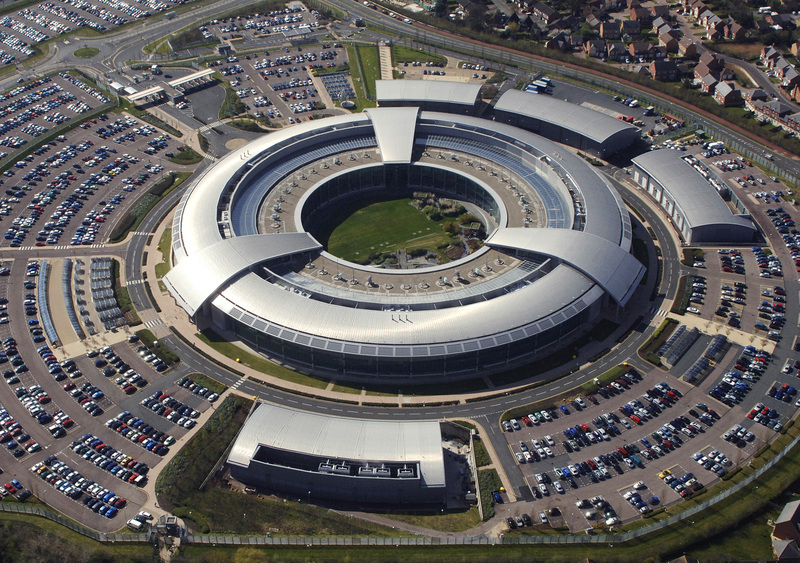 An aerial image of the Government Communications Headquarters (GCHQ) in Cheltenham, Gloucestershire. All this traffic is being captured in a huge data base by Big Ears (GCHQ and NSA). I didn’t say I agree with this practice, mind, and we have to be careful society doesn’t become what Orwell predicted in his novel 1984. 7. Why did you decide to write this trilogy and how difficult has it been straddling the fine line between fact and fiction? Actually I wanted to tell this true story about a medical physician’s amazing discoveries that occurred 1992-1993. I had an emotional vested interest in the outcome. But as I commenced my non-fiction manuscript I started to throw in about what the author had also done in his career…to pad it out more. If you read my first book you’ll see lots of evidence of that. Then, when the manuscript was completed and edited, a top British literary agent received a copy of it and obviously decided that he himself would be in trouble with the UK Official Secrets Act for being an accessory. I think the material went beyond where he was normally used to dealing with. I was thinking his role would be to advise me what was acceptable, to make it to the final copy, but no, he immediately sent it to the Ministry of Defence to get himself off the hook. It’s a long story that took many years to circumvent and get back on track. You can read it in my third book, when it is published, but subsequently 400 pages were redacted from the original first and my own lawyers – three of them – were not happy with how this chain of events unfolded and duly advised me to ‘in the future write what I wanted to and to categorise it as fiction instead‘. This I have now done but not carelessly. If I thought someone somewhere would be risking their life because of me, I’ve done my own redacting and/or changed the person’s name, place and how it unfolded – to protect them. 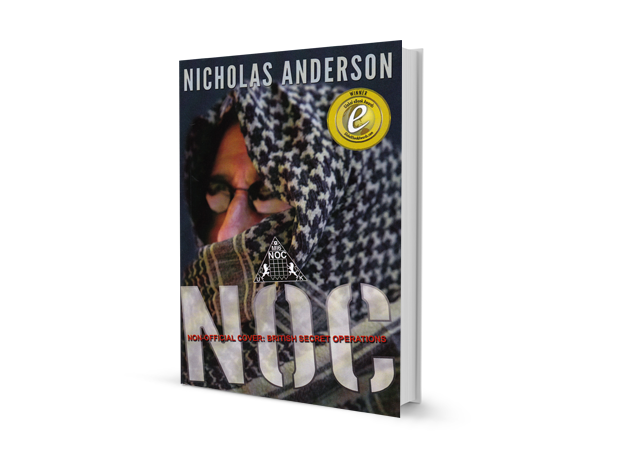 The second available in the series is NOC Twice: More UK Non-Official Cover Operations. 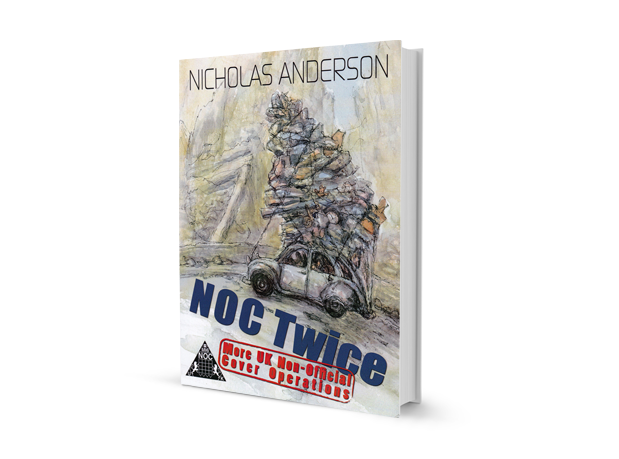 The third and final installment, NOC Three Times: Knock-On Effect (Last in the Trilogy), will be completed in 2016.